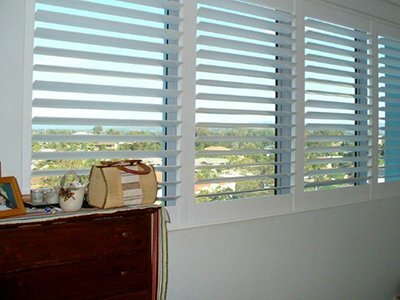 As a family owned and operated business, Cullen’s Blinds manufacture, supply and install shutters and blinds across the Gold Coast, Sunshine Coast, Newcastle and Port Macquarie with customer satisfaction of paramount importance to us. Supplying both timber and aluminium shutters, click through for more information about our shutter range and get in touch with us for a measure and quote. Renowned for its structural stability, timber is a fantastic material for both interior and exterior shutters due it's durability, energy efficiency and ability to act as an insulator and thus maintain a more uniform temperature, prevent heat loss during the colder periods and reduce thermal radiation in the hotter months. Our locally manufactured timber shutters can be customised for different sized doors and windows, adding a natural looking elegance to your home. Our aluminium shutters are a highly durable and low-maintenance solution to providing optimum security for your home or office. The strength of aluminium combined with high-grade powder coating and anodized finish means that these shutters will last a lifetime. Available with sliding, flat stacked, bi-fold or hinged configuration.